How much can be achieved with the Environmental Jobs? The concept of environmental jobs is nothing new or complex to understand, but it does have a background that relates with a theme to make things GO GREEN! Discrimination is actually required to ensure environmental and agriculture jobs to get a closed container of their own. Environmental jobs refer to the objective where you believe that your ultimate task is to ensure that we have a greener planet. At times, we have seen how the workers in this field to go through a whole new perspective where your workplace could be a wetland, a landfill or the Atlantic Ocean. Some might be surprised while seeing a black bear passing on his way to a breakfast of berries, instead of a co-worker. The environmental jobs are so exciting and as they require that you get involved practically with a large number of different kinds of situations in the environmental industry. Your environmental career starts right away, with a passport in the industry. Your job involves your engagement in nature, moving and revolving around the world. Experts recommend that you keep in mind the beauty of this industry, and use the experiences you gather, and place yourself in the ever growing marketplace of green movement. First make a list, after that target all the environmental work you have done and emphasize on what you’d want to do in the future. Growing green jobs include some of the most attractive jobs that would develop a greener society. One such green job of today is an Urban Grower. This includes the food production industry. Those people who are related to the field of urban growers utilize all available spaces and facilities of the urban life. For example, using the vacant parking lots or growing food on roof gardens. Green roof gardens can deliver locally sourced foods that produce some fresh farm items and help protect the environment by minimizing the use of pesticides, fossil fuels, and other resources. The other benefit that we have is cutting down on greenhouse gases, by minimizing transportation of food to market from larger commercial zones or farms. Green roofs are vital source of improving the urban environment. This is all done by insulating buildings against energy loss, controlling stormwater, enhancing air quality, and providing places of recirculation. Another growing job in the green industry is the water quality technician. It refers to seeking scientific and creative solutions to a water quality control problems in a manner to keep them environmentally friendly. Most of the time open-air reservoirs are treated with chlorine and contamination of diseases is rare. But water quality problems are quite severe around the world and their control is also an increasingly important environmental job. Transportation is another key environmental job in the category. A retooling auto industry is asked to reconstruct the nation’s fleet with vehicles that consume less fuel and produce less pollution. Transportation currently burns and produces greenhouse gases. Electric Cars are exciting alternatives. This can only be as green as the ultimate source of their power. The renewable-energy industry is working to replace dirty fossil fuels that produces pollution with cleaner alternatives such as wind and solar. Recyclers are the most innovative people. More than one-third of the raw material used at U.S. paper mills is recovered paper, according to the ”Environmental Protection Agency”, This process creates environmental jobs and makes a big impact on the environment. Eventually as the world’s nations tries to move towards a balanced lifestyles and greener economies, it’s essential that trained professionals put efforts towards analyzing the impacts and effects on the world around us. We need to think of conserving the natural resources, on which, at the end of the day we all ultimately depend on, both wealth and health wise. So, natural scientists add into the field, we see environmental jobs include them for sure. Some of the natural scientists are also involved withe the green building industries. Green Builders are also in a demanding professions in this industry. They actually work hard and the end result is a safe, sturdy building and a new value for reusing garbage and rubbish that is otherwise thrown into the landfills or burned for lack of processing and disposal methods. Solar cell and solar panel technicians are among the leaders in the environmental jobs. The production of solar cells and photovoltaic systems has doubled ever since two years during the past decade. Though production costs seem to have decreased, and efficiency increased, the demand for new solar technicians continue to increase. It’s a good chance that Solar power can become very cheap, and perhaps the primary source of electric supply around the world, in the near future. They also hold promise for the underdeveloped world, where they are putting efforts to power the poor and rural locations. We are not sustainable at the current rate of production and consumption. The need for environmental professionals will keep on increase as “Third World countries” continue to expand, world populations continue to grow. As the urbanization increases, so does the consumption expand, and the demand for nonrenewable natural resources also increases. The demand for skilled workers in the environmental industry is steadily increasing. Many corporations are focused on stability using resources without disturbing the nature, and without increasing the use of natural resources, and depleting resources for the future generations. Sustainability will lead to careers and and prosperity, and will require ability to focus on environmentally, economically, and socially sustainable operations. Emerging environmental career fields include renewable energy specialists, green products industrial designers/marketers, environmental communicators, green business planners and managers, and life cycle accountants. Would you like to start your own green business? We show you how. Click Here to download Your Free eBook, and Unleash the Entrepreneur in You! 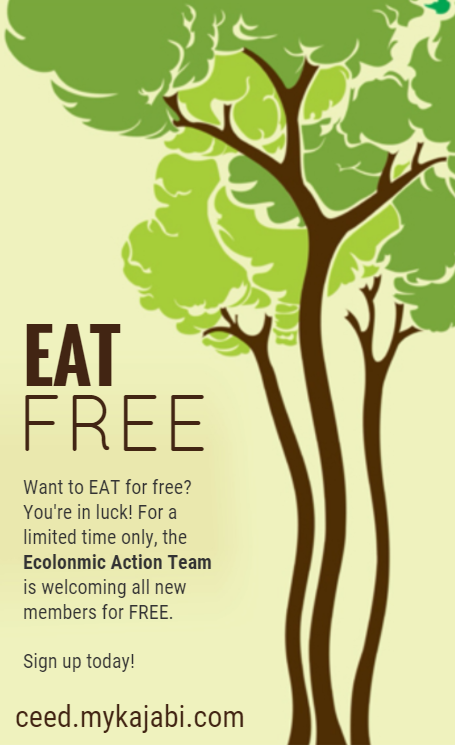 To get a hold of us, you may click here to book a meeting, call us at 303-495-3705 or email us at ioe@ecolonomics.org . We’d love your feedback and comments on this article. Please feel free to add your comments in the comment box below or on our Facebook page, we’d really appreciate it.